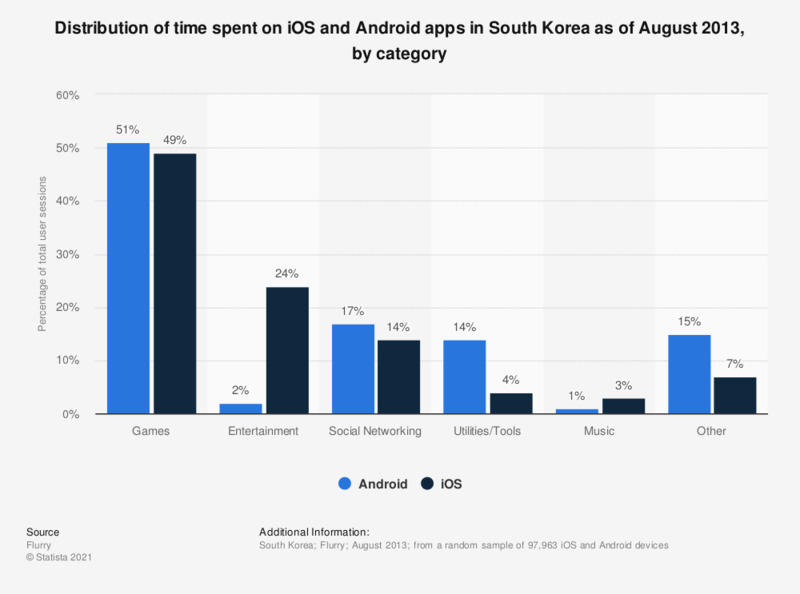 This statistic gives information on the share of time spent on various app categories on iOS and Android devices in South Korea in August 2013. During that month, it was found that 51 percent of total Android app time was spent on gaming apps. In August 2013, Flurry Analytics measured 33,527,534 active smartphones and tablets in South Korea.